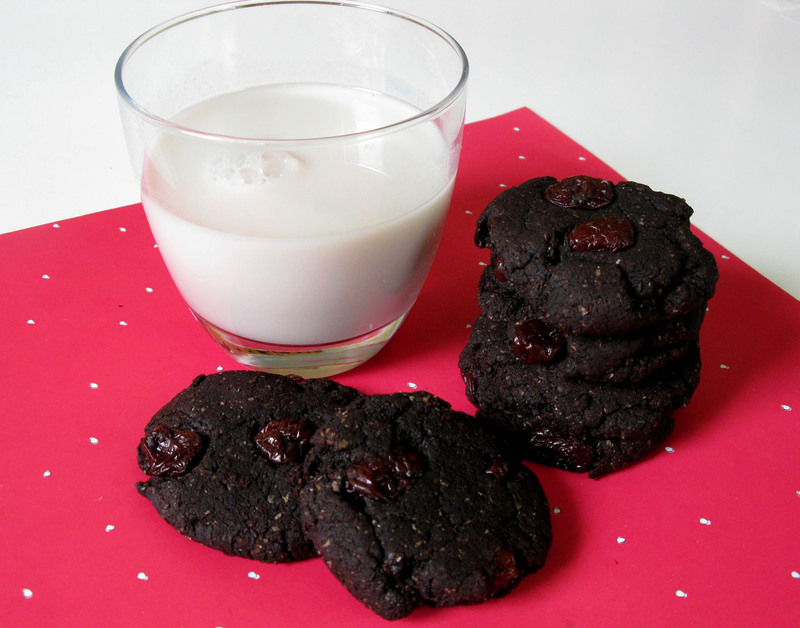 Chewy Chocolate Cherry Cookies | Live. Learn. Love. Eat. Sometimes you just need a chocolate fix and just because you are vegan doesn’t mean your chocolate days are gone. 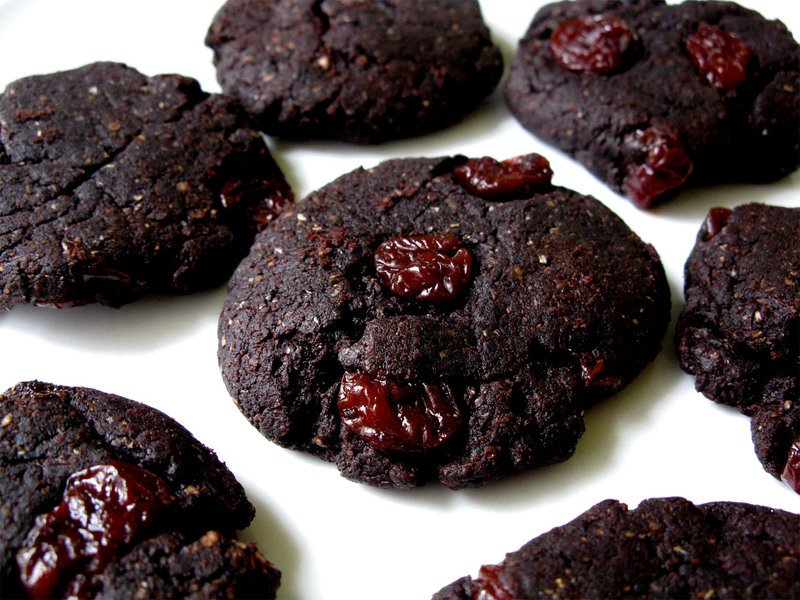 These cookies are healthified chocolate heaven with dried cherries to add a little sweet surprise. Preheat oven to 350F. In a large mixing bowl, combine the flour, cocoa powder, baking soda, sea salt. Add the dried cherries. In a small mixing bowl whisk together the maple syrup, sunflower oil and vanilla extract. Add the wet ingredients to the dry ingredients. Roll the cookie dough into tablespoon-size balls and place onto the baking sheet. Press each cookie down slightly. Bake for 8-10 minutes. Cookies should be just done and still soft so that they are chewy. Makes 18 cookies. Today looks like it is going to be a rainy day! 😦 But I guess rainy days are good for doing even more baking! I did those cookies today!! They are (actually were:) awesome – cherries and coca are the best combo! Pingback: 22 Healthy Vegan Christmas Baking Recipes | Live. Learn. Love. Eat. OK, I just made these for the second time. I love these hot right out of the oven and can never wait for them to cool! My teenage sons have weekly D&D group that will enjoy them tomorrow. I am being nice and sharing but wasn’t sure I’d be able to when they first made the request, lol!